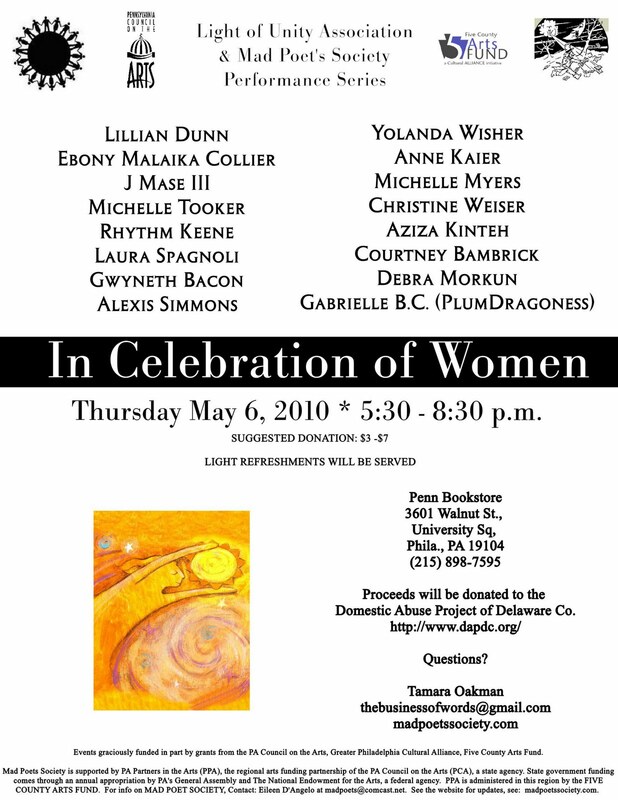 I will be performing solo with several other Philly-based female poets for the In Celebration of Women reading that will be this Thurs, May 6 at the UPenn Bookstore. The reading begins at 5:30pm. Admission is $7 general admission, and $5 for students, seniors and Mad Society members. The UPenn Bookstore series is every first Thurs and is sponsored by In Light of Unity Association and Mad Poets Society. Proceeds from admission costs benefit a different charity each month. May's proceeds will be donated to Domestic Abuse Project of Delaware County. 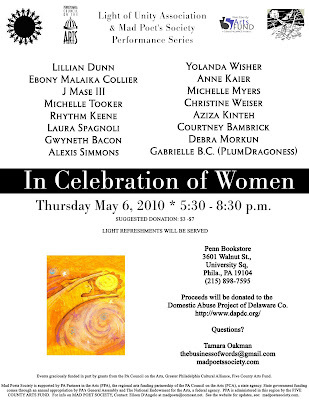 For this event, I will be highlighting my She poems. Please check out www.madpoetssociety.com for more info.